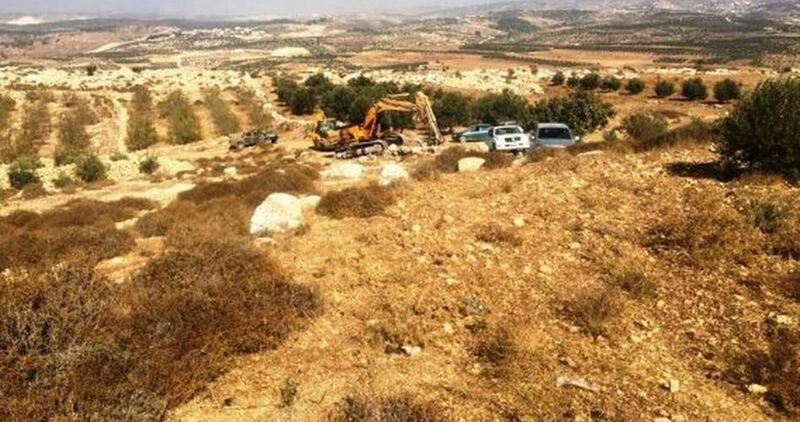 The Israeli occupation authority (IOA) has started to build a large wall of rocks for the illegal settlement of Leshem on annexed land belonging to Deir Ballut town in Salfit, north of the West Bank. 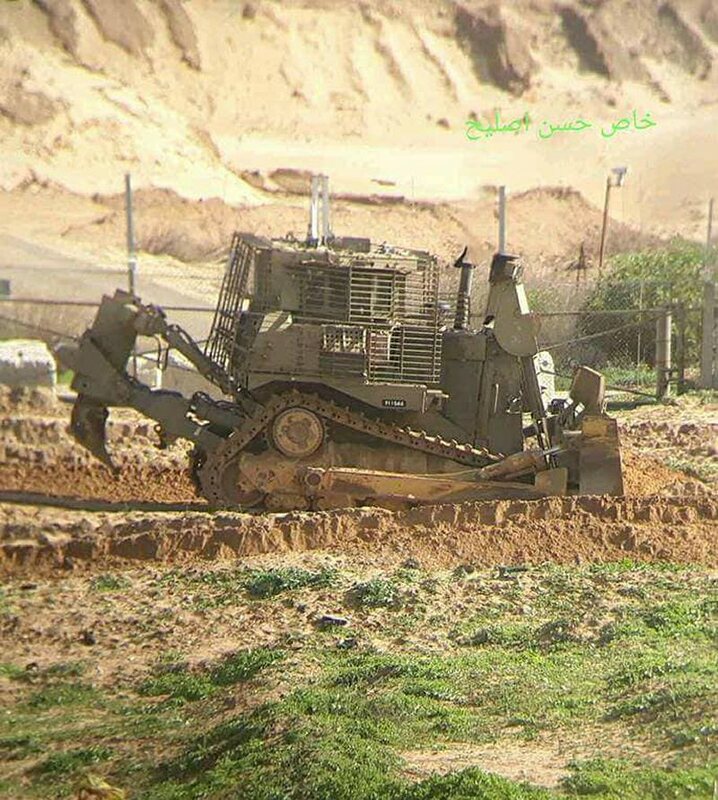 Local sources told the Palestinian Information Center (PIC) that more agricultural and grazing lands, including olive trees, were bulldozed in the areas of al-Shamiyat and Bab Marj, east of Deir Ballut, in order to build the wall. This closure is considered the second of its kind in the Church history as the first was on 27 April 1990 when the doors of the Church were closed for 48 hours to protest the “Ateret Cohnim” settlement Members’ seizure of the Hospitality Palace in the Monastery of Saint John, who is King of the Greek Orthodox Patriarchate, next to the Church after two weeks of the seizure and failure of all efforts to expel them. ‘Issa Misleh, Spokesperson of the Greek Orthodox Patriarchate, said that away from the two closures, the Church doors have been always open and never witnessed any closure, except suspension of prayers in times of war or earthquakes. The East and West Christian community jointly pray and worship in the Sepulcher Church that was established on the Calvary, where Jesus was crucified according to Christians’ beliefs, and includes the holy tomb of Jesus Christ. The Christian faith shares the areas and quarters as identified for each inside the Church according to the Status Quo, which is a decree issued by the Ottoman Empire in 1852 and still applicable. The decree was set to preserve the rights of each sect and religious group in Jerusalem in general and in the Sepulcher Church in particular, and to identify how each sect shall use its area. 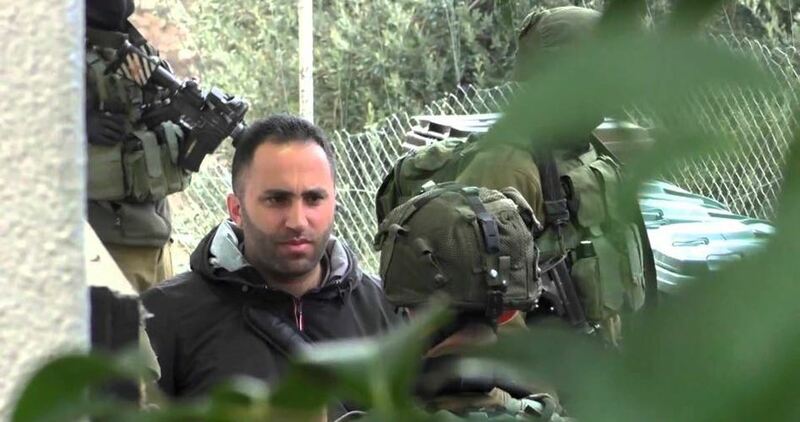 38-year-old Palestinian ex-prisoner Hamza Dirbas was re-arrested by the Israeli occupation forces in Jerusalem’s northern town of al-Issawiya after he turned himself in for questioning. Head of the Committee of Jerusalemite Prisoners’ Families, Amjad Abu Asab, said the occupation forces arrested Dirbas after summoning him to questioning and extended his remand for another 24 hours. He added that Dirbas was detained on claims that he violated the post-release conditions set by the Israeli prison authorities. 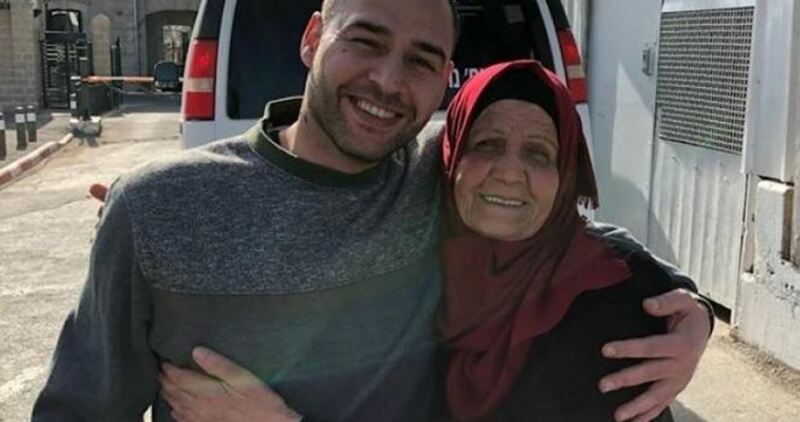 Shortly after he was released from Israeli jails on February 21, after he had served a 16-year sentence, Dirbas got banned for one week from Occupied Jerusalem. 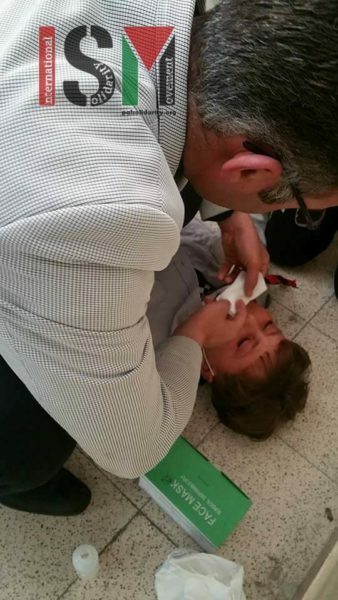 He returned to his hometown—al-Issawiya—on Wednesday following the end of the ban. The Israeli occupation forces (IOF) on Thursday kidnapped coordinator of Youth against Settlement in al-Khalil city Issa Amr. Local sources told the Palestinian Information Center (PIC) that Israeli soldiers kidnapped Amr from the headquarters of Youth against Settlement in al-Khalil and took him to an interrogation center. In a separate incident, an Israeli bus carrying Jewish settlers was thrown with paint as it was traveling near al-Arroub refugee camp, north of al-Khalil. Meanwhile, hundreds of settlers celebrated the last day of the Purim holiday, during which they held provocative marches in Tel Rumeida neighborhood and in the Ibrahimi Mosque’s courtyards. The IOF also intensified its presence in the Old City of al-Khalil to secure the settlers’ celebration of the holiday. 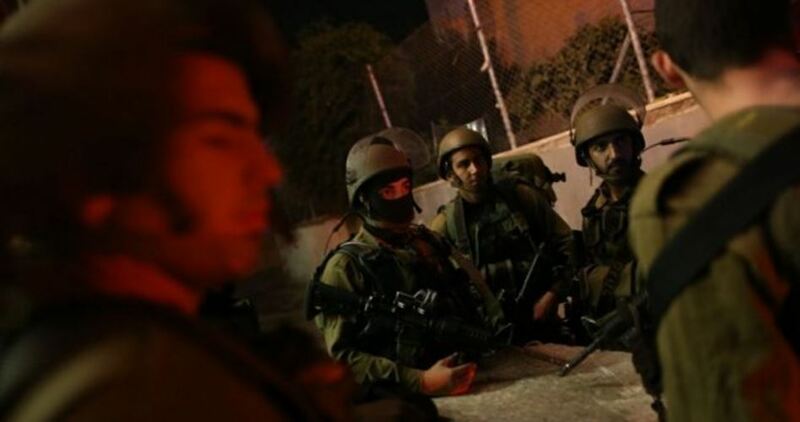 The Israeli occupation forces (IOF) at daybreak Thursday kidnapped a number of Palestinians following a round of assaults carried out throughout the West Bank. Israeli patrols rolled into Jenin’s western town of Yamon at the crack of dawn and ravaged the homes of a Palestinian civilian Aneid Hamdiya and his brother, Bajes, without prior notifications. 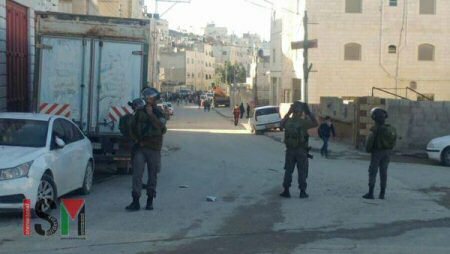 The occupation soldiers cracked down on Palestinians passing through the area and subjected them to intensive inspection. At the same time, the IOF stormed al-Khalil province, in the southern occupied West Bank, and raked through residential neighborhoods in Halhul and Yatta towns, ravaging Palestinian homes all the way through the raid. A disabled young man, identified as Abdul Kader Abu Usba, was kidnapped by the IOF from Zaboud neighborhood, in al-Khalil’s northern town of Halhul, and dragged to an unidentified destination. Dozens of Israeli soldiers further stormed Tulkarem’s northern town of Seida, wreaked havoc on six Palestinian homes, and came down heavily on the inhabitants. The campaign culminated in the abduction of the Palestinian ex-prisoner Sameh Ajaj after he had been made to endure heavy beating. 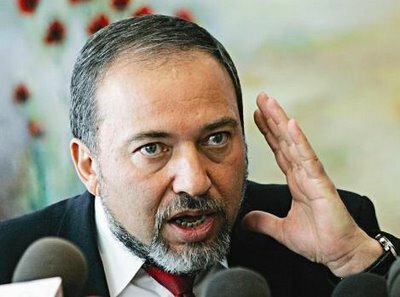 Minister of the Israeli occupation army, Avigdor Lieberman, has publicly claimed that the army’s security services foil, on a weekly basis, about 20 to 30 attacks on Israeli forces settlers in Hebron, south of the occupied West Bank. Lieberman took a tour of settlements in Hebron, Tuesday, with General Chief of Staff Gadi Eisenkot, Commander of the Army Central Command Ronnie Noma and Coordinator of the Government Activities in the Occupied Territories Yoav Mordechai. Lieberman alleged that the army carried, during recent months, large-scale campaigns to fight “terrorism” in the occupied West Bank towns and cities, especially in Hebron, claiming that the army thwarted, during the last period, between 20-30 attack in a week. He added that the vast majority of these alleged “terror attacks” have successfully been thwarted by information provided by intelligence services, work coordination among forces, and advanced techniques and technologies. Elor Azaria, the Israeli soldier who killed a wounded Palestinian in Hebron, may be released on parole as early as 14 March, Israeli media reported. According to a report broadcast yesterday by Israel’s Channel 20, prison officials have recommended that the convicted soldier be paroled, citing his good behaviour over the past seven months. Azaria was convicted by an Israeli military court of manslaughter, after he was captured on video shooting Hebron resident Abdel Fattah Al-Sharif in the head in March 2016. In a sentence condemned for its leniency, Azaria was sentenced to 18 months in prison, and this was subsequently reduced to just 14 months. At the time, it was reported that Azaria could ultimately get a third of his sentence off for good behaviour, and thus be released on 30 March 2018. Now, according to Channel 20, prison officials are claiming that Azaria is eligible for parole even earlier, also revealing that he was “permitted to take vacation leaves [from prison] every 28 days” from his “very first month” in jail. The army parole board will meet on 14 March, and could decide to immediately release the soldier. Violence by Israeli settlers in the occupied West Bank has been increasing in 2018, according to the latest update by United Nations monitors on the ground. 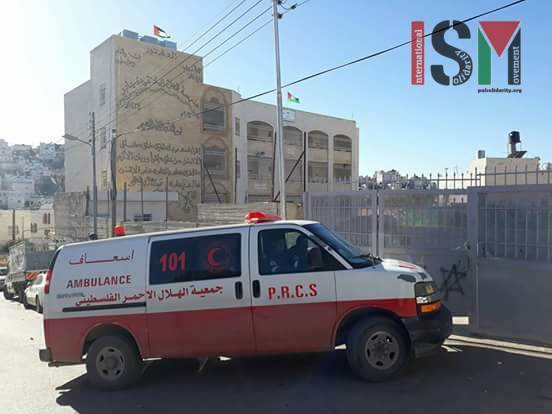 In its latest fortnightly report, the UN Office for the Coordination of Humanitarian Affairs (UN OCHA) in the occupied Palestinian territory documented a number of serious recent incidents. 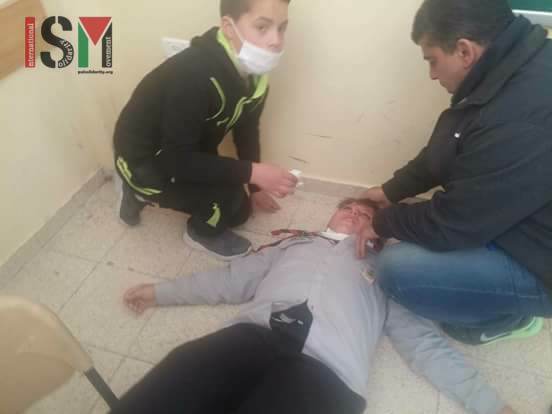 Over a two-week period (13-26 February), 16 Palestinians were injured and various Palestinian property “lost or damaged in attacks and raids by Israeli settlers”, says UN OCHA. Four of the incidents occurred in Einabus and Asira al Qibliya villages near Nablus, the agency said, “reportedly by settlers from Yitzhar, Bracha and their surrounding outposts”. These incidents “involved the physical assault and injury of a 91-year-old man, the killing of 17 sheep and theft of another 37, and the vandalizing of a house”. Meanwhile, “in the same area”, five Palestinians were injured by Israeli occupation forces, “during clashes that erupted after Israeli settlers raided the village”. Another four Palestinian men were “physically assaulted and injured by settlers in four separate incidents elsewhere in the West Bank”, and six Palestinian-owned vehicles were also damaged in five stone-throwing incidents by settlers. In 2018 to date, up to 26 February, there have been 25 settler attacks on Palestinians that involved property damage, and 13 incidents that involved Palestinian casualties. Pro-Israel politicians in Westminster are urging the UK government to cut aid for the Palestinian Authority (PA) by 14 per cent, as part of their ongoing campaign against so called “incitement”. Labour Friends of Israel (LFI) has written to Conservative Prime Minister Theresa May asking her to ensure that British support to the PA is reduced as a punishment for continued Palestinian support for prisoners in Israeli jails and their families. In their letter to the Prime Minister, LFI chair Joan Ryan, and fellow LFI stalwart Ian Austin, claim that the UK government’s strictly ringfenced funding to the PA “effectively frees up other money” to be used as support for prisoners. LFI claims that the PA spends seven per cent of its budget on payments to Palestinian prisoners and the families of Palestinians killed by Israeli occupation forces. “Until these payments stop,” the two MPs wrote, the UK should cut its aid to the PA by 14 per cent. The MPs also revealed that they have asked 20 separate questions about the matter in Parliament.